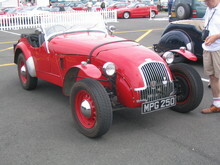 Following his success in pre-war trials events, Sydney Allard launched his new car the Allard J1 in 1946. 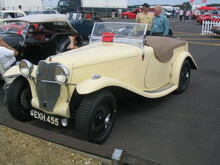 The J1 was a two seat sportscar designed for road use as well being suitable for competition in trials events. 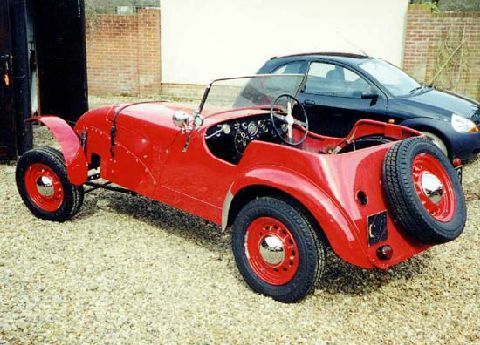 Thanks to its minimalist coachwork the J1 weighed in at under 16 1/2cwt and with its large V8 engine the Allard offered excellent performance (for 1946!). 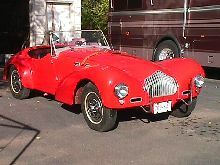 The Allard J1 came with a choice of either a 3.6 litre Ford V8 or a tuned 3.9 litre Mercury engine, which was also a V8. 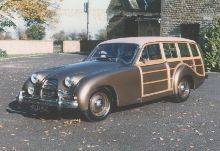 The J1 was similar in appearance and specification to the longer K1 and was only produced until 1947, just 12 examples were built.